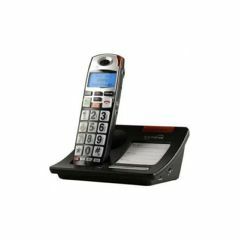 AllegroMedical.com presents The High definition talking CID cordless. Allegro Medical offers many quality products by Serene Innovations to suite your needs. Mr. Hood, This is to inform you that my shipment arrived early this morning. I am so pleased with the very timely matter of its receipt and definitely will be ordering as needed in the future. Additionally I certainly will spread the word to all my friends. Thanks again for the quick and speedy delivery! Just letting you know I really enjoyed reading about Valerie and Craig on the order confirmation page. And, of course, about the dogs! :-) What a terrific idea for the confirmation page- made me really glad I ordered from you! Since you are selling items to people who are not feeling up to par, your lighthearted and personal approach to the order confirmation is BRILLIANT! So happy to be your customer. Great job!